An Act to consolidate and revise the laws relating to the Public Health Service, and for other purposes. 42 U.S.C. ch. 6A § 201 et seq. The Public Health Service Act is a United States federal law enacted in 1944. The full act is captured under Title 42 of the United States Code (The Public Health and Welfare), Chapter 6A (Public Health Service). The act clearly established the federal government's quarantine authority for the first time. It gave the United States Public Health Service responsibility for preventing the introduction, transmission and spread of communicable diseases from foreign countries into the United States. Family Planning Services and Population Research Act of 1970 Pub.L. 91–572, which established Title X of the Public Health Service Act, dedicated to providing family planning services for those in need. Other attempted amendments to the act have failed, such as the Stem Cell Research Enhancement Acts of 2005 and 2007. One proposal to amend the Public Health Service Act is the Veteran Emergency Medical Technician Support Act of 2013 (H.R. 235), a bill in the 113th United States Congress. The bill was introduced on January 14, 2013 by Rep. Adam Kinzinger (R-IL). 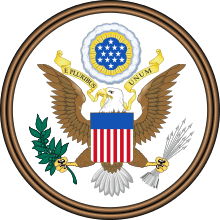 It passed the United States House of Representatives on February 12, 2013 by a voice vote, indicating that it was generally non-controversial. The Bill would amend the Public Health Service Act to direct the Secretary of Health and Human Services (HHS) to establish a demonstration program for states with a shortage of emergency medical technicians (EMTs) to streamline state requirements and procedures to assist veterans who completed military EMT training while serving in the Armed Forces to meet state EMT certification, licensure, and other requirements. The bill still needs to pass in the United States Senate and be signed by the President of the United States before it would become law. The Children's Hospital GME Support Reauthorization Act of 2013 (H.R. 297; 113th Congress) is a bill in the 113th United States Congress that would amend the Public Health Service Act to extend and reauthorize appropriations for payments to children's hospitals for expenses associated with operating approved graduate medical residency training programs. The portion of the Public Health Service Act that would be amended is Section 340E (42 U.S.C. 256e). The amendment would cover Fiscal Years 2013 - 2017. H.R. 297 passed the United States House of Representatives with a vote of 352-50 on February 4, 2013 (Roll no. 32). Emergency Medical Services for Children Reauthorization Act of 2014 (S. 2154; 113th Congress) is a bill in the 113th United States Congress that would amend the Public Health Service Act to reauthorize the Emergency Medical Services for Children Program through FY2019. ↑ Peters, Gerhard; Woolley, John T. "Franklin D. Roosevelt: "49 - Statement of the President on Signing the Public Health Service Act" July 1, 1944". The American Presidency Project. University of California - Santa Barbara. Retrieved 25 May 2013. ↑ "Public Health Service Act". U.S. Food and Drug Administration. Retrieved 29 July 2007. ↑ History of Quarantine at the Centers for Disease Control and Prevention site. Retrieved 30 September 2014. ↑ "H.R. 235 - Congress.gov". United States Congress. Retrieved April 1, 2013. ↑ "H.R. 297 - text". United States Congress. Retrieved 8 April 2013. ↑ "S. 2154 - Summary". United States Congress. Retrieved 11 September 2014. 78th U.S. Congress (May 23, 1944). "H.R. 4624, Public Health Service Act, May 23, 1944". Chapter 373, cited 58 U.S. Stats. 682. U.S. Capitol Visitor Center. Retrieved May 25, 2013.